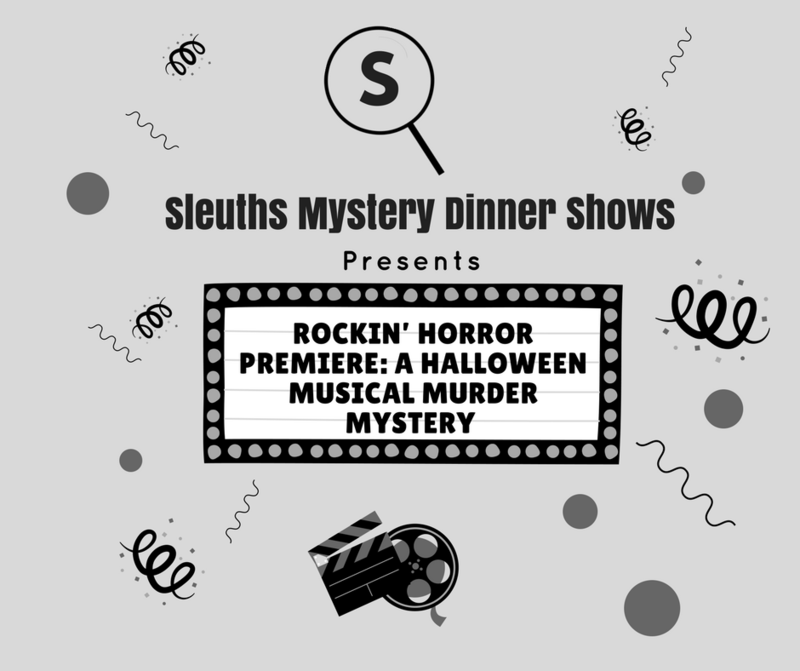 Sleuths Mystery Dinner Shows is having their first ever Halloween Musical Murder Mystery! This unique performance is a mash up of cinematic classics such as Rocky Horror, Hocus Pocus, Thriller, and Little Shop of Horrors to create a new Halloween masterpiece. This musical murder mystery features Henry Beaumont, an oil tycoon, who’s gambling millions into a film featuring his niece Nicki. He’s hoping this film helps her become a famous actress. Celebrities make cameo appearances during the show, but don’t let that distract you from the other characters. Maybe between takes or during filming, someone is going to commit a gruesome crime. Your job is to spot the criminal. 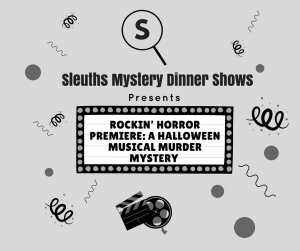 Sleuths Mystery Dinner Shows offers a two and a half hour long entertaining experience. While enjoying dinner, you will be treated to a hilarious 45-minute comedy mystery where you are given clues to help solve the crime. After dinner, detectives move around the room allowing tables to ask questions and help uncover even more clues. Your evening concludes with a yummy “mystery” dessert, as well as the sweet satisfaction of discovering the identity of the criminal. Successful sleuths receive fun awards at the end. If you are planning an Orlando getaway this fall, Sleuths Mystery Murder Dinner Show provides a unique experience you’ll want to share with friends and family. The Rosen Inn on International Drive is just minutes away from the show and offers more than convenience in location. Our hotel features comfort, security, and our own set of luxuries–all without a resort fee. Call us at 407-996-1600 to reserve your room today.